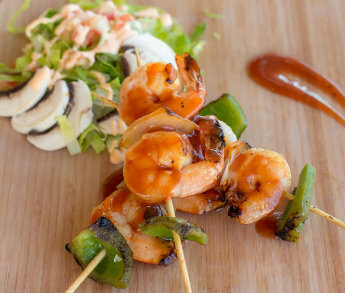 Enjoy a relaxing lunch or afternoon appetizer at Selva del Mar. 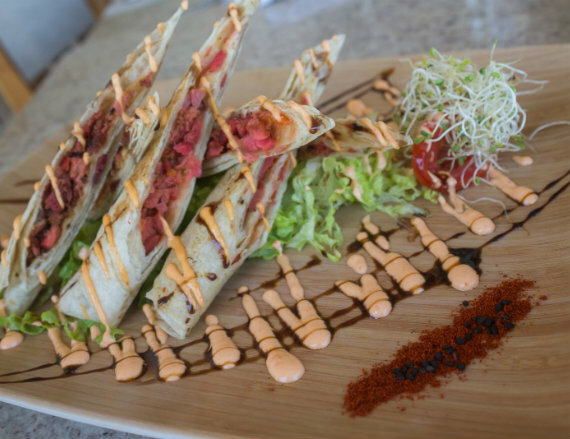 Located in the beautiful pool area, our open-air cafe serves fresh, light food - from Mexican ceviches and tacos to sandwiches, salads and burgers - with spectacular views of Banderas Bay. Selva Del Mar is our casual poolside café, serving Mexican inspired foods with a global twist. 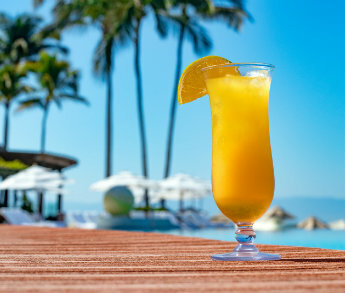 After a dip in the pool, enjoy a light menu of appetizers, ceviches, seafood cocktails, sandwiches, hamburgers, salads, grilled kebabs, and tacos with fresh-made guacamole. 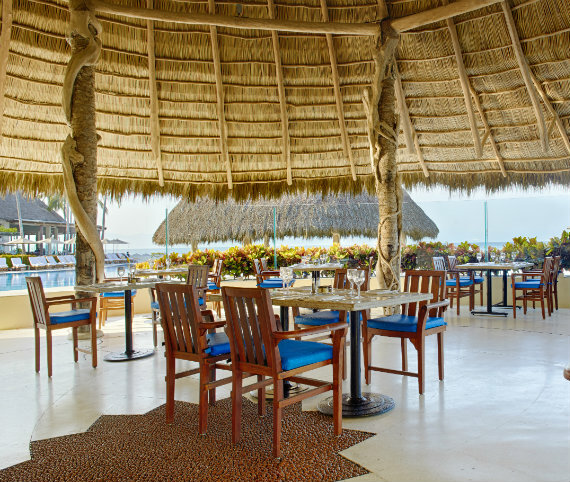 The open-air snack bar offers a relaxed coastal vibe with captivating views of Banderas Bay. Swim suites and flip flops expected. Selva del Mar offers coastal inspired cuisine, perfect for lunch poolside. 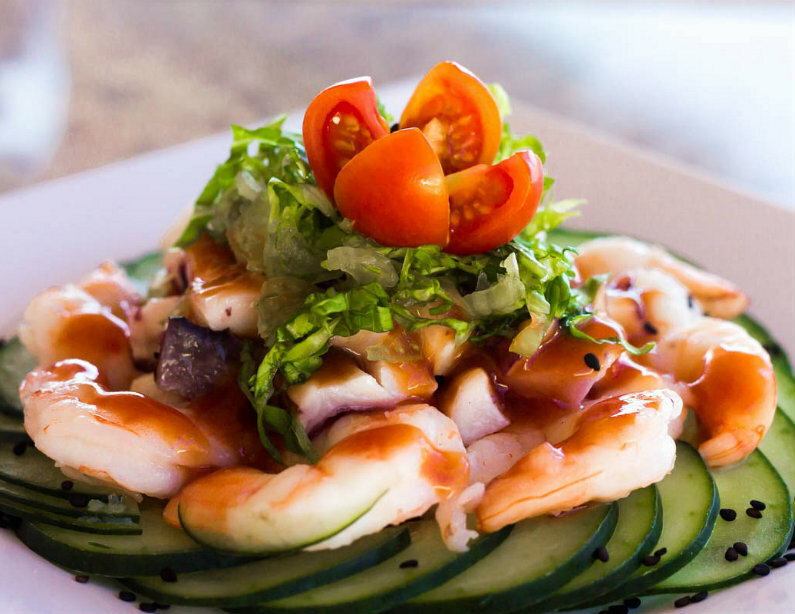 Soak up beautiful bay views as you enjoy delicious salads, artisan sandwiches, burgers, seafood cocktails and the best ceviches in Puerto Vallarta. 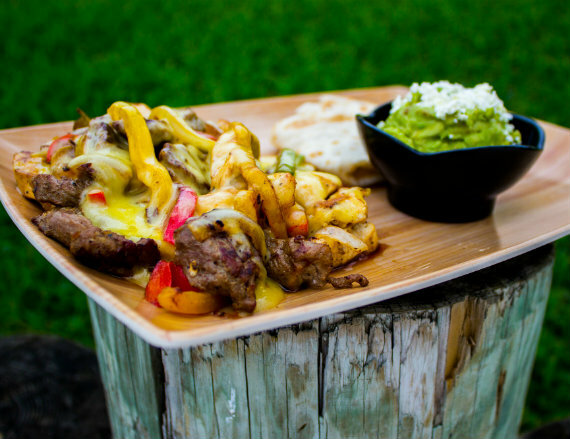 The menu also offers grilled kabobs and Mexican favorites, like tacos, nachos and fajitas with fresh-made salsas and gaucamole.